American lived in london for 18years now homed in Dunsden, Berkshire. Love everything about England except the weather (duh-although its a good excuse to stay in pjs all day) and the exchange rate . I really used to love Suffolk, but now am a west England convert and a proper country girl as I live here all the time. 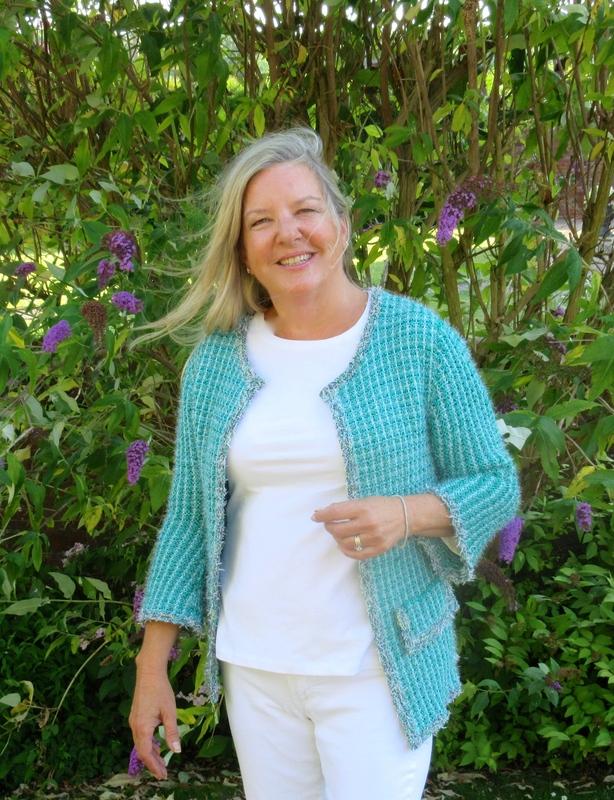 On the back nine and with an empty nest in view started Debonnaire in 2008- a needlecraft business with a mission to provide the best knitting and needlepoint products along with the highest degree possible of client attention. Best is defined by me as highest quality artistic materials at a fair price.Best is also defined by me as stuff I personally want in case I end up with it all! somewhere along the way I started designing. About 3 years ago I started dyeing my own yarn after a few years of working with other dyers. I am completely passionate about this and hope it reflects in my work. While I still carry other stuff I’ve not personally dyed, the majority of my time is devoted to the hand dyeing business. I’m currently running this business solo from home- the one good use I’ve put my mba to is determining that current rents make a proper shop difficult . when I’m not working on the thousands of ideas I Ihave for Debonnaire, I like golf,skiing, cooking and the beach. Have figured out how to knit and stitch at the beach and while cooking, but not while golfing or skiing…..
My 3 girls ( Alex 30, Annabel 28, and Savannah 24)have moved on to jobs but come home all the time as we now have a country party house and a dog and they like to be fed for free and a dog ( he’s really the pull). My husband Scott is quite nice and supportive and very good at lugging 25 kilo boxes of yarn into the workshop. Life Motto- just do it! Love your pics! The site is wonderful. I love it and humorous too.. always good since life always isn’t! forgot, love my family all the time! ps.its the big “pond”- refer to john cleese’s letter to america…..
i’ve pm’ed you but to summarise. I have silkwood angora(70%/30%) wool lace weight in3 colours-pink,greengage, maple.it’s lovely-am knitting a lace hat in it now! You’ve always been a terrific writer, Erica, and that hasn’t changed. You are so you! The designs you are creating strike my fancy, but I can only knit scarves. You should submit something to CRAFT magazine. I know the editor in chief, if that would help. Love your site. Too bad I don’t knit. I have just developed a new yarn in Wales that is a cross between a Saxon Merino and Shetland. The cross provide you with a extremley soft fibre (18-20 microns), or as soft as pure merino. The sheep live in the uplands of Wales and are clipped in the month of June, the wool is then sent to a local processor where it is scoured and spun into both 4ply and DK weights. Some of the yarn is then dyed into a range of colours by local dyers. At present, most of the yarn is sold at events and shows, I am looking for a small number of whole sale buyers to sell the yarn through, some patterns are already availble. To date the yarn has been very well recieved and knits as standard. If you would be interested in recieving a sample or know someone who is, please do contact me. 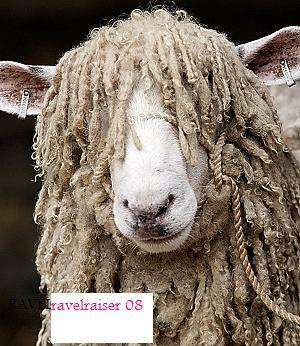 The link in your Ravelry ad has a typo in it–it goes to ehdknts.com. I figured it out because I’d been on your site before and stuck in the missing “i” myself. Hi Erica, I can see from this website http://schoolofeverything.com/teacher/ericadowns – that you teach knitting in Fulham. This is a general enquiry to see when you may run classes – when and where? Hi Erica, I am trying to knit the pattern of Erica’s beret which I purchased with yarn at Harrogate K&S show. I am struggling. It took quite a bit of starting and seeing the pattern but after a few false starts it has worked fine until the crown shaping. I have had to pick several rows back stitch by stitch, so much so that the yarn is getting quite fragile. Up to row 13 it works fine. There seems to be an error with this row. It produces only 105 stitches not 120 as shown. Help please. I am using the colour on the pattern sheet and I do love it but am disappointed that the yarn is being spoiled as I had hoped to knit one for my grand-daughter also from the same hank. Hi Erica, met you recently at Aintree where I bought a hank of gorgeous blue silk yarn from you with which you gave me a free pattern for the One Skein Triangle Scarf/wrap. I’m having a bit of a problem – although I am doing the k2,YO at R & L edges. When I start the lace pattern there doesn’t seem to be enough stitches to do the repeats at the asterisk * Could you help please. Thanks. Wow– gorgeous model showing off above( “Love Hats”). Are you selling stock- the other kind– yet? Was just showing Alex your site. Very nice work! Nope,too busy selling and sourcing the best kind of stock- gorgeous hand dyed yarns! We’d like to present you with the opportunity to exhibit your goods at a brand new Craft & Hobby Show being held on Friday 25th May & Saturday 26th May 2012. We’re aiming to offer the craft & hobby community of South Wales a new and exclusive show by incorporating a range of traders and exhibitors, workshops and generally fun day out. With shell scheme packages starting at just £150 for the 2 days for a 2m x 2m stand (with lots of extras included) and trestle stands for local crafters and producers starting at £25 per day, we hope that these amazing introductory prices will entice you to join us at this show. We’d be happy to answer any questions you may have and send you out full details and booking forms if you’d like to get in touch. Many thanks & we hope to hear from you soon. It was a great first open house, thank you for your support and come anytime! Hi Erica, Do you have any Luster Sheen wool in black? can’t find it anywhere. I know it’s an American brand. If not do know of a good substitute that will achieve the same outcome. you are too kind Belinda!